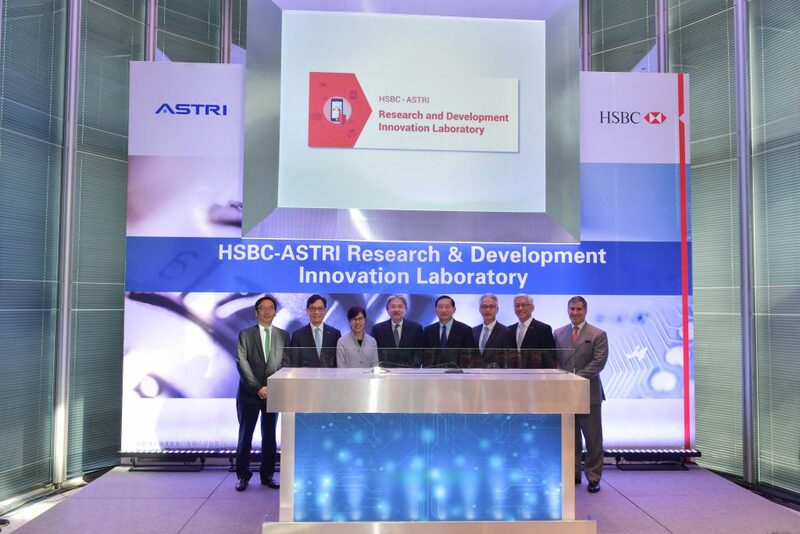 The Hongkong and Shanghai Banking Corporation Limited (HSBC), together with the Hong Kong Applied Science and Technology Research Institute Company Limited (ASTRI), are launching the HSBC-ASTRI Research and Development Innovation Laboratory (RDI Lab) with a goal to encourage research and technology implementation within the financial industry as advocated by the Government of the Hong Kong Special Administrative Region (HKSAR). As part of the strategic initiative to drive technology innovation across our global business, HSBC has been focusing on the following innovation areas – security crime prevention and identity, data and artificial intelligence, and operational efficiency – with the aspiration to develop secure and comprehensible solutions for our valued customers and the banking system. 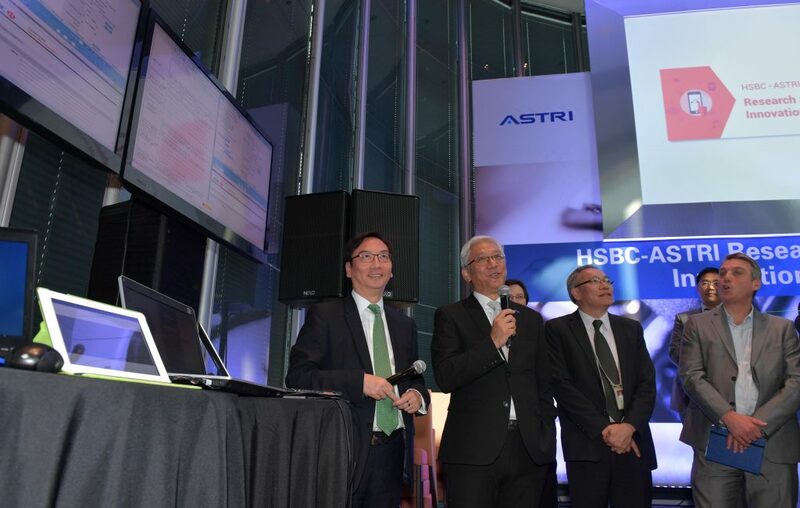 With ASTRI, HSBC can contribute further into the development of advanced authentication technologies, cyber security protection, next generation facial/voice recognition, behavioural biometrics with the use of Artificial Intelligence (AI) technologies and big data analytics. The HSBC-ASTRI RDI Lab will also advance the collaborative work on the Chinese character recognition system, which is required for the back-end system and other labour intensive process. The RDI Lab will seek to apply ASTRI’s latest technologies, systems and platforms to address domain specified requirements of HSBC’s various businesses – with the aim of enhancing productivity and service security. One area of application is artificial intelligence on Chinese character recognition. Based on deep learning, feature engineering and data science capabilities of the R&D team, ASTRI has already developed a system based on 4 million handwritten Chinese character images, which can be utilised by HSBC to enhance the efficiency of tedious and manual form processing tasks by accumulating machine learning knowledge and improving accuracy continuously. Other than partnering with companies and academic institutions that are at the forefront of the next wave of technological innovation, HSBC has also been sponsoring the Innovation and Technology Scholarship Award Scheme in Hong Kong since 2011 together with the Innovation and Technology Commission (ITC) of the HKSAR Government. The scheme nurtures outstanding local undergraduates in the science, technology and medical disciplines through tailored trainings and industry exposure locally and internationally. The HSBC-ASTRI RDI Lab would serve as a battleground for talents alike to play a part in guided research projects and unleash their career opportunities in the field of technology and innovation. The Hongkong and Shanghai Banking Corporation Limited is the founding member of the HSBC Group, which serves around 46 million customers through four global businesses: Retail Banking and Wealth Management, Commercial Banking, Global Banking and Markets, and Global Private Banking. The Group serves customers worldwide from over 4,400 offices in 71 countries and territories in Europe, Asia, North and Latin America, and the Middle East and North Africa. With assets of US$2,608bn at 30 June 2016, HSBC is one of the world’s largest banking and financial services organisations. (From left) Mr. Raymond Cheng, Chief Operating Officer Asia Pacific, HSBC, Mr. Wong Ming-yam, Chairman, ASTRI, Ms Annie Choi, Commissioner for Innovation and Technology, HKSAR Government, Mr. John Tsang Chun-wah, Financial Secretary, HKSAR Government, Mr. Peter Wong, Deputy Chairman and Chief Executive, The Hongkong and Shanghai Banking Corporation Limited, Mr. Howard Lee, Senior Executive Director, The Hong Kong Monetary Authority, Dr. Frank Tong, Chief Executive Officer, ASTRI, Mr. Darryl West, Global Chief Information Officer, HSBC Holding plc, officiating the launch of the HSBC-ASTRI Research and Development Innovation Laboratory. Mr. Raymond Cheng (1st from left), Chief Operating Officer Asia Pacific, HSBC and Dr. Frank Tong (2nd from left), Chief Executive Officer, ASTRI, give live demonstration on FinTech Solutions.